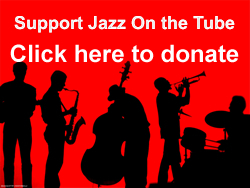 Thank you for your generous donation to Jazz on the Tube. I don’t know about you, but I can’t imagine life without jazz. Thanks for helping us do what we have to do!